"Over the last 15 years, Jimena Lopez developed a very personal set of fine winemaking principles: use great fruit from old vines in a special location, handle all the winemaking steps herself, and put her stamp of approval (a thumbprint) on the label. Jimena's lifelong plan has been to craft a wine using these principles, so when she came across the 7-acre, Cantella vineyard in Lujan de Cuyo farmed entirely by Don Pepe and his family, she finally put her plan into action. This low yield Malbec vineyard planted by his father in 1908 produces small, intense berries that produce a wine not only with deep dark color, like graffito, but also amazing concentration, complexity and structure. 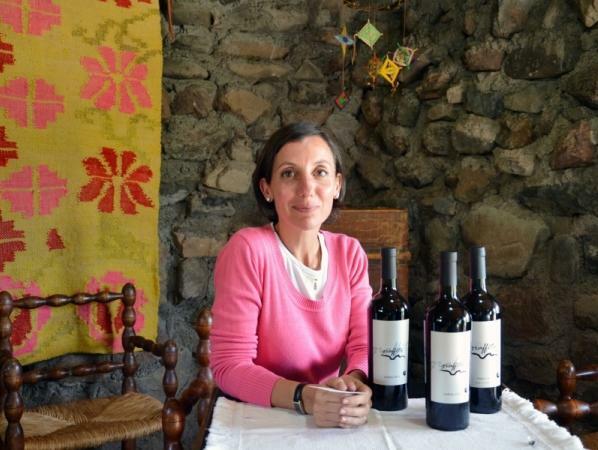 Jimena believes that good winemaking is simple winemaking. It starts in the vineyard with quality grapes. Beyond this, she believes in 3 key principles to make great wine: know-how, obsession for details, and above all passion."